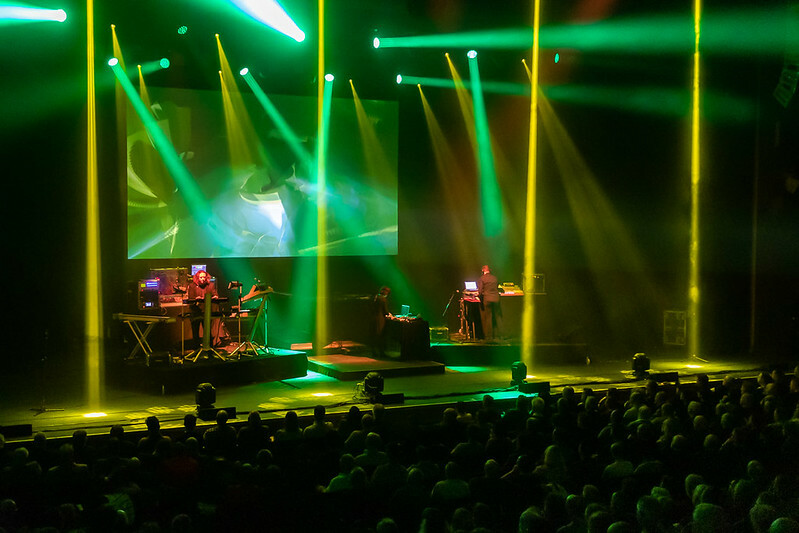 I consider myself to be part of this new generation of fans so I was hugely excited as I took my seat in the impressive Barbican Centre and waited for the electronica pioneers to embark on stage. 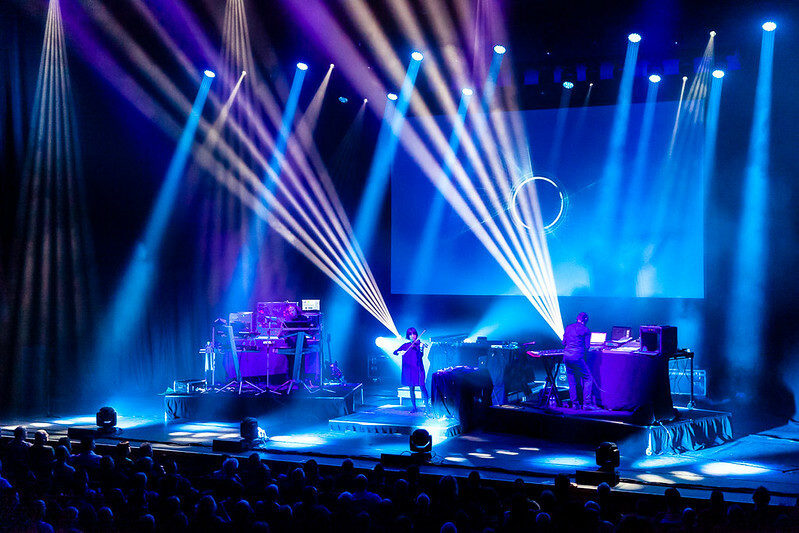 They kicked off with the classic theme from seventies thriller Sorcerer, otherwise known as Betrayal and it was clear we were going to get a visual spectacle just as impressive as the music being performed. 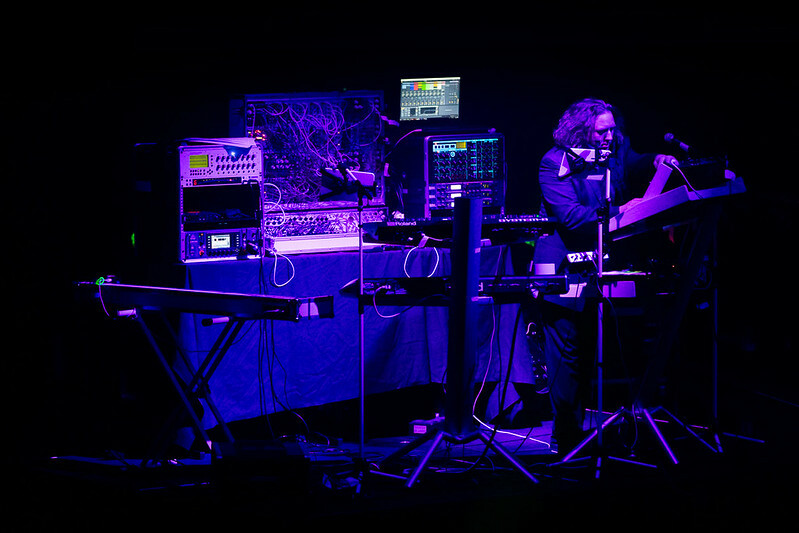 The set up for new band leader Thorsten Quaeschning was absolutely unique, with about 3 different keyboards, 2 MacBooks, a guitar and a machine that I can only describe as reminiscent of the controls for a Cold War nuclear defence system, I could tell this wasn’t going to be your average concert. 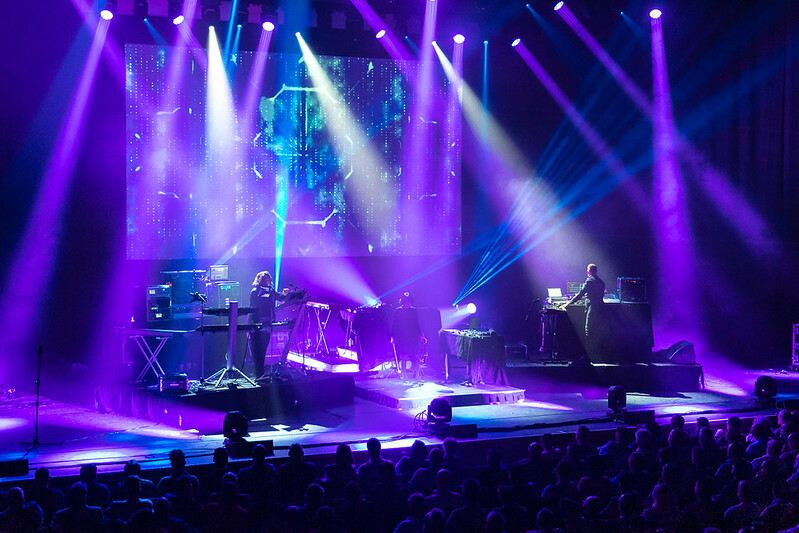 Most of the compositions performed came from their latest release, 2017’s Quantum Gate, something of a 50th anniversary record for the veterans, and although the tracks aren’t as well known to the audience, the sheer visual spectacle and way 3 people were able to create a wall of sound comparable to that of a full orchestra was truly extraordinary. Hoshiko Yamane was a true presence on stage, performing with a rather unique violin, she was almost dictating the performance despite having the least to do instrumentally. From Ricochet to my one of my personal favourites, Pilots of Purple Twilight, I was struck by the diversity of the tracks performed tonight. It wasn’t all synths, with the group freaking out with a number that would not have been out of place at a rock concert. 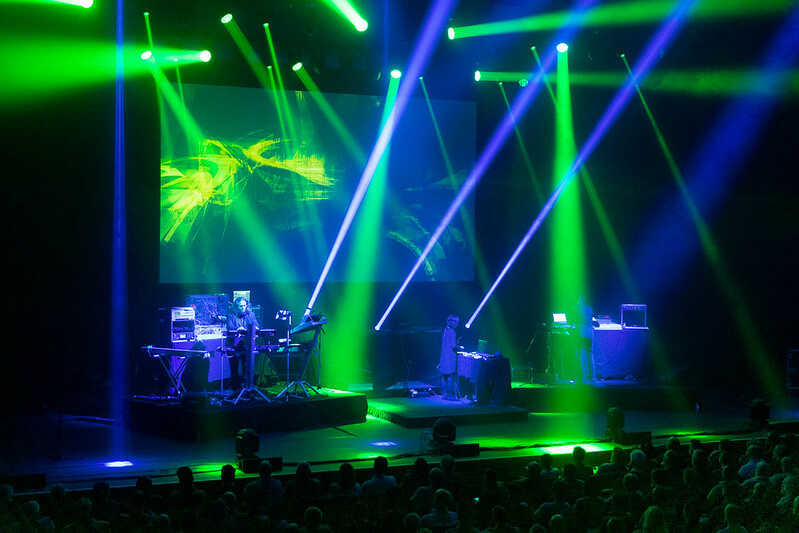 Whereas other tracks could be pumped into an Ibiza nightclub and coupled with the light show on display, many a happy dancer would be raving along, a true variety on display tonight. No words were spoken throughout the show, but why would they be, they are there to communicate through music, and are all the better for it. Though I must admit there was something of an unusual atmosphere, as each melody blended into the next, the appreciative audience did not know when to clap and “whoop” which led to one or two moments of mirth as we all managed to sneak in a round of applause here and there! 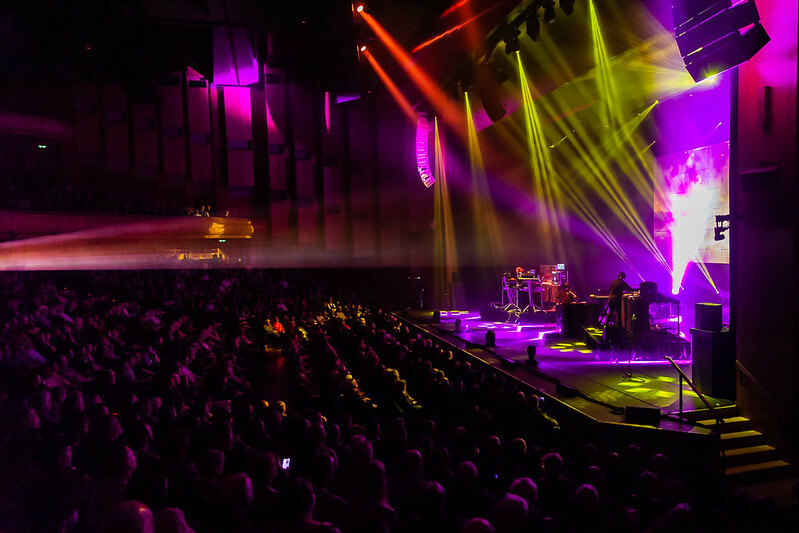 As the concert built towards an impressive finale after over three hours, it is clear there is still plenty of life in the band, and those who have said the band should have stopped touring after the death of their leader (the son of the late Froese included) this would surely be a tragedy for fans old and new. 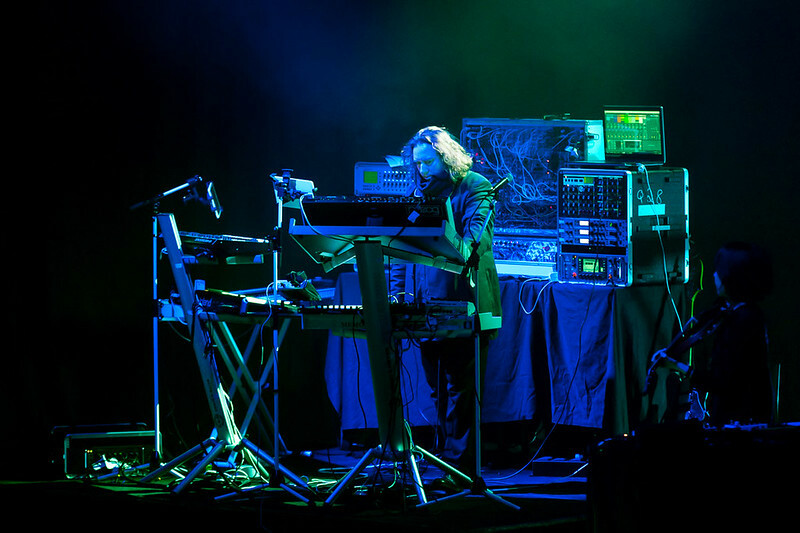 I would love to see Tangerine Dream perform again and I’m so glad I was lucky enough to see genuine pioneers on stage whilst I still had the chance, here’s to the next 100 albums! An excellent performance by the band, who played with great competence, confidence and stamina. Unfortunately the gig was marred by poor sound engineering – at least in my opinion. 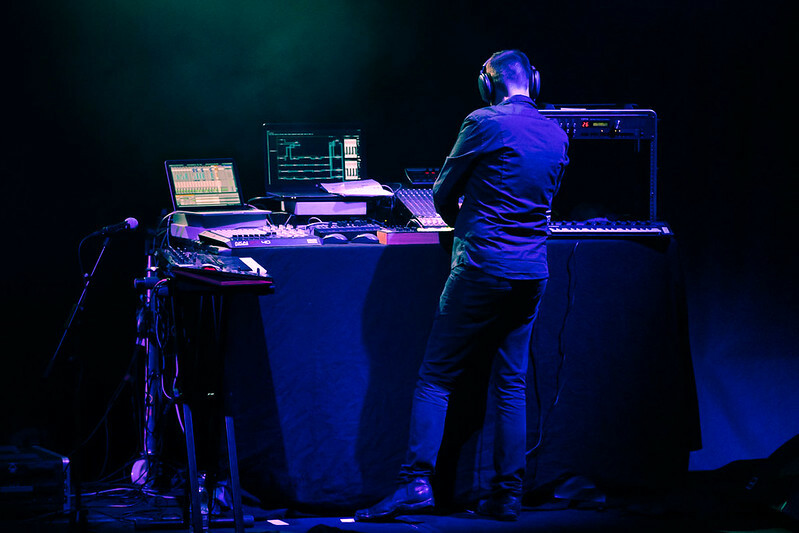 The mix lacked definition, especially in the louder sections, where the individual parts merged into one big noise, which was dominated by the ringing of resonant frequencies that should have been tuned out in the soundcheck. At times the music was just too loud for the space it was being played in and the subtleties were lost as a result. The sound was great where I was sitting, sadly a few sat right in front of the speakers and were surprised when the mix was poor. I have to agree with some that, in fact, if anything the sound was too quiet at the beginning of the gig. Heard that Glasgow was even better, annoyed I missed it. Well done to all involved and it’s great to see them pulling in new fans, unlike their critics who play to an ever decreasing fan base, and yeah, Jerome I do mean you sunshine.